Challenge coins are more and more popular every year with armed-service men and women, military branches are issuing them at an increasing pace because of their morale boosting potential. Loaded with memories of military service, a high-quality coin display case is needed to showcase these treasures. Challenge coins are more and more popular every year with armed-service men and women, military branches are issuing them at an increasing pace because of their morale boosting potential. Loaded with memories of military service, a high-quality coin display case is needed to showcase these treasures. 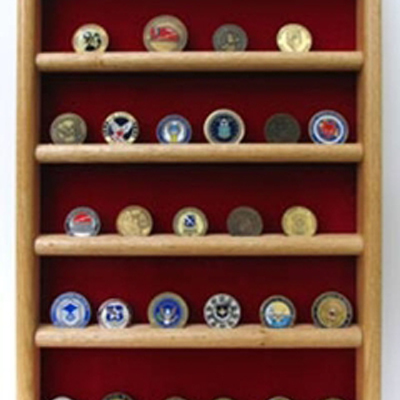 This Wall Coin Display is an ideal way to showcase your pride in your unit or country. Wall-mounted and secure, seasoned collectors and new enthusiasts alike can display up to 40 coins on five different rows. Constructed from the finest solid wood (and available in red oak or walnut) this coin display rack great for a desk, mantel, coffee table or show off it and the coins beauty on a pedestal - it's a perfect gift for a veteran or coin collector. Made in the USA, this wooden display rack is 22" (height) x 16" (width) x 2 1/8" and features a high-quality, rich in color background fabric (available in: Coast Guard, Air Force, Army, Navy, Marine Corps Blue, Marine Corps Green, Red Velvet, Black Velvet, Blue Velvet and Maroon Velvet) making it a great centerpiece or accent to any room of the home or office. Flags connections.com prides itself on its quality of fabrics used - and these background fabrics are actual service uniform fabrics, not imitations, so customers can rest assured that the fabric you select for your case will be a perfect match for any branch of military service. 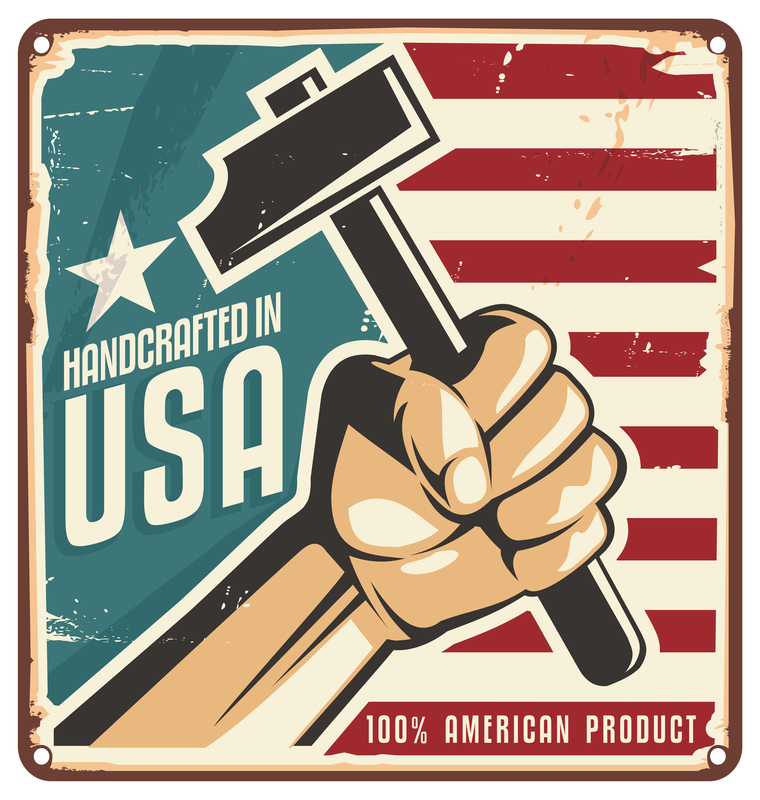 Flags connections Corporation products are available in Red Oak We do not stain our wood to create a "look", we prefer to finish it with a clear coat to enhance the beautiful grain and preserve the natural color of the wood.